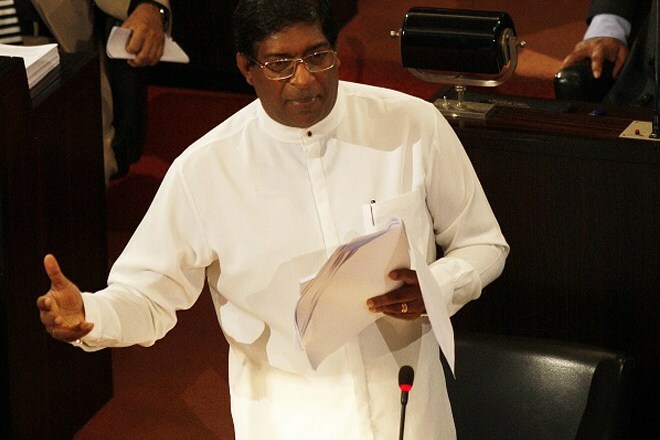 May 19, 2016 (LBO) – Finance Minister Ravi Karunanayake told Parliament Thursday that Japan has agreed to provide about 2.5 billion US dollars worth development policy loan to Sri Lanka. This has been revealed yesterday when Japanese Prime Minister Shinzo Abe’s Special Representative Hiroto Izumi called on Prime Minster Ranil Wickremesinghe, Finance Minister said. “Mr. Izumi also talked about issuing USD1.2bn bond,” Karunanayake said. Karunanayake however said due to the exchange rate risk the government is looking for a dollar swap for the yen loan. Finance Minister pointed out that the country had to pay thrice for the loans taken for the Port in 1980, because of exchange rate depreciation. “So the Central Bank will get a dollar swap protecting the exchange rate fluctuation risk,” Karunanayake said. Finance Minister further stated that the government is also looking at taking about one billion US dollars below 2 percent interest from the newly established Asian Infrastructure Bank by July.